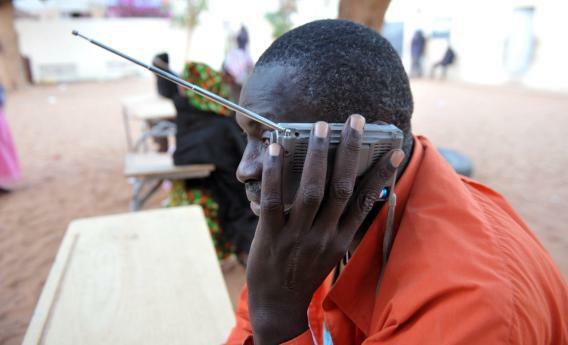 ICT4D: Don't forget the radio when discussing mobile technology in developing countries. If you’re reasonably altruistic, it seems you can’t open Twitter without hearing about a new initiative or organization dedicated to leveraging mobile telephony for social good in the developing world. The fruits of these efforts run the gamut from maternal health to banking, and crisis relief. They take the form of apps, SMS-based systems, and information dissemination lists. And they vary dramatically in their thoughtfulness, effectiveness, and ability to involve the communities they’re trying to help. The thing is, despite all of the hype swirling around the role of mobile phones in the Global South, few people have examined the ways in which mobile technology can be partnered with existing, tried-and-true communications networks like radio. My aim here is not to defend or dismiss the role of mobile phones in the developing world—plenty of people have done that already. Rather, it’s time for us to admit that when it comes to global development, mobile phones won’t cut it on their own. If we really want to use technology to promote lasting social change and economic growth, we need to stop ignoring the power of established communications networks. We need to start talking about the radio. Why radio? For starters, radio’s continued reach, affordability, and attention to local communities is unparalleled. It is “the mass media that reaches the widest audience in the world,” UNESCO proclaimed in conjunction with its 2011 “World Radio Day.” Even in Kenya, Bangladesh, and other hotbeds of mobile development work, radio continues to play a crucial role. This is especially true in rural areas where local dialects are common and literacy isn’t the norm. Take, for example, the coastal regions of Bangladesh, where community radio stations play a crucial role in mitigating flood damage and risk. Since 2010, 14 new stations have been approved in Bangladesh, and applications for more than 20 others have been filed. These stations are especially useful for residents living in flood prone areas, many of whom carry cheap radio sets with them at all times. Given that many of these communities are centered around farming and fishing, radio’s ability to provide immediate information on local weather patterns and disaster relief strategies is indispensable. Will hybrid mobile/radio projects save the developing world? No, not at all. As we move into an increasingly sophisticated technological future, however, hybrid projects represent the possibility of using existing networks to bridge social, economic, and technological gaps. As the digital divide skyrockets within and between countries, hybrid projects may be our best chance at making the most of technology.